Welcome back to your bi-weekly Zelda Speedrunning article. Was last week a bit slow? Feeling a bit sluggish? Never fear! 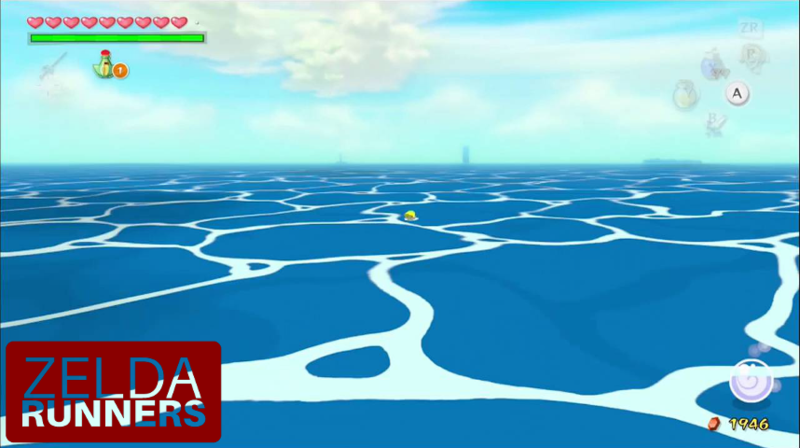 This week, we’re talking the puzzle that left Skyward Sword runners heart-broken, another ridiculous Breath of the Wild 100% run, and why Toon Link might be the best man to ask about sliding into DMs. This past week saw an interesting external hardware debate arise amongst the Ocarina of Time community. As I mentioned in the last article, the 100% category recently underwent a route change, which left the Virtual Console version a faster option than the original N64 version of the game. One of the less welcome version changes, however, is the Virtual Console controls, which are much harder to use than their older counterpart. The reason for this is due to a much larger deadzone (the area in which the analog stick can be moved without the game responding), which leads to a much smaller ESS Position (the area in which the analog stick can be moved to give Link the minimal amount of movement, usually shuffling his feet, or turning or moving very slowly). This position is absolutely vital in Ocarina of Time (and multiple other 3D Zeldas) for performing super-fast movement known as Super Slides. As a result of this change, the community are debating whether to allow the use of an ESS adapter, a device which would modify the inputs on Virtual Console to match those of N64. They’re yet to make a decision, and whatever developments occur over the next fortnight, I’ll cover the discussion in more detail in the next article. Breath of the Wild runner, pretends2know, has completed the first recorded 100%, amiibo, Extended run, finishing with a time of 59:14:54 (including regular breaks for sleep and food). pretends2know says that the run was decent, but plans to practice more before his next attempt. The run’s multiple parts can be found here. This week also featured a brand new Skyward Sword Puzzle race, created by long time runner, indykenobi. The challenge? 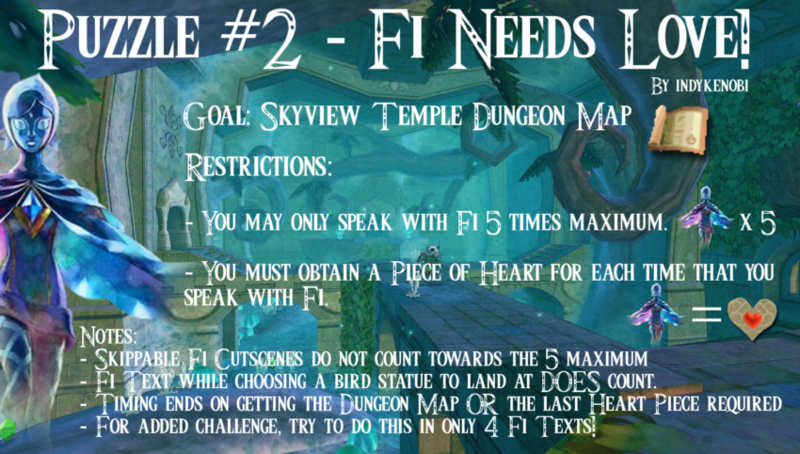 Obtain the Skyview Temple Dungeon Map without talking to Fi more than 5 times. Each time a runner went through an un-skippable Fi text, they were required to obtain a Heart Piece. The challenge was attempted by multiple runners, both old and new, with almost all completing it. indykenobi posted his own solution to the puzzle, and has suggested he may also be planning another for the future. Ever looked out into the distance to where the sea meets the sky and thought “Gee, I wish I could swim backwards at near uncontrollable speeds to the other side of this ocean”? No? How about wishing you could teleport through walls or into the Earth itself? Not that either? You’ve obviously never experienced a Wind Waker HD run then. Discovered by Girtana1 and Susslord, Item Sliding is a glitch which allows the runner to gain speed exponentially using certain items. 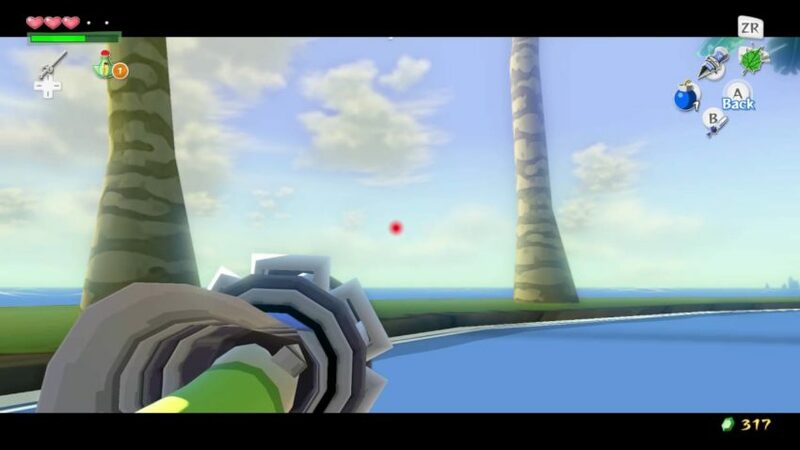 Only possible in the HD version, the glitch requires the use of an item which allows the use of a first person view, such as the Grapple Hook. By walking with the first person view activated, pausing, and unpausing while holding the control stick is held in the ESS Position opposite to the direction of travel, Link will gain speed exponentially in the original direction of travel. On its own, this can be used simply to travel across large rooms (such as the large central room in the Wind Temple, or the staircase leading to the Puppet Ganon fight), but it also has other uses. For example, by aiming the speed gain in the direction of a wall, Link’s speed will still increase, while Link himself will remain stationary. From this point, pressing ZL to target will shoot Link off either to the left or the right, depending on the item used to start the item slide (Grapple Hook, Boomerang and Bow will send him to the left, the Hookshot will send him to the right). After charging his speed, the runner can press B to swing his sword. Doing so will send Link flying forwards, similar to the result of a regular item slide forward. Unlike the regular item slide, however, Link will travel over any gaps during this move, which also appears to teleport him as the movement speed is so high. 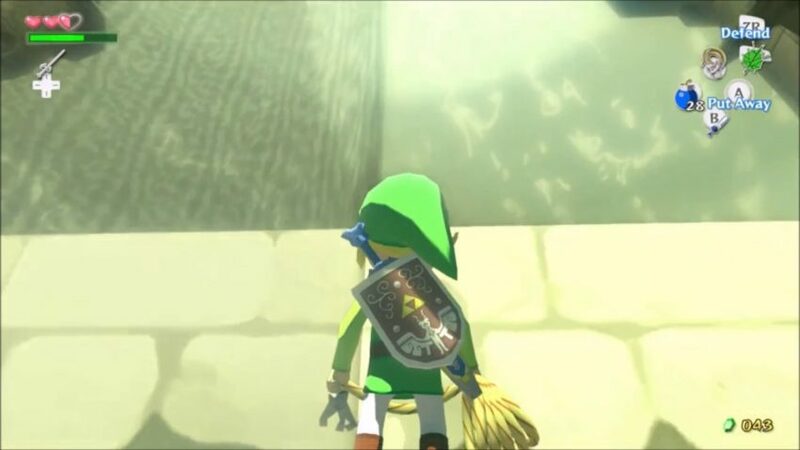 Item Sliding is used at multiple points during Wind Waker HD runs, including clipping into Forest Haven (which saves having to use the Grapple Hook to climb up past the Deku Babas), cutting out a huge amount of Forsaken Fortress visits, and to skip the repeat boss battles in Ganon’s Castle. It’s also used for Barrier Skip, the infamous discovery which allows any% runners to skip over half of the game. By far its most common use, however, is to initiate Super Swims. Normally when Link enters water, he has a certain amount of air before he drowns and is respawned. 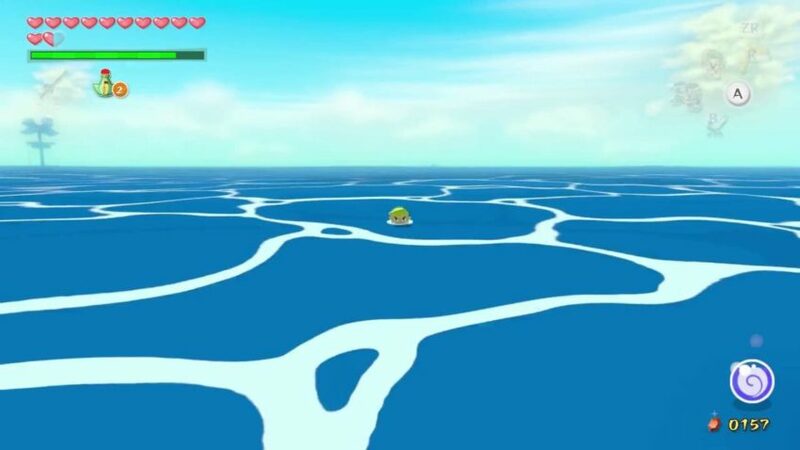 This time, along with Link’s swimming speed, isn’t enough to travel the circumference of Windfall, never mind swimming between islands. However, by starting an item slide, then directing it into water, the speed charged up by the slide will transfer into Link’s swimming speed, allowing him to shoot off through the water. This is used often in the any% and All Dungeons runs, where the runner has to travel between islands often without having access to the Ballad of Gales. However, as an extension of item sliding, it also requires an item with a first person view. The first of these items available to runners is the Grapple Hook on Dragon Roost Island. This means that runners still have to complete the first sections of the game on Outset Island. Or, they did, until it was discovered that an exploit using the target function made Manual Superswims much more viable. This trick is slightly more faithful to the superswimming from the original Wind Waker, which involved using a glitch called Storage. When in water, Link’s velocity has a cap – the highest speed at which he can swim. As mentioned before, it’s not exactly mind-bending. However it doesn’t have a negative cap, and every time Link does a 180 degree turn in water he loses 3 units of speed. So, by turning around each frame, Link’s speed can, in theory, infinitely increase… backwards. Obviously changing Link’s direction 30 times every second isn’t humanly possible, so runners use pauses to buffer their inputs. After a certain (negative) speed is reached, holding the target button will change Link’s direction at a high enough rate that his speed will continue to build up automatically, without the need for pause buffering. This trick not only outright skips the first 10 minutes or so of an any% run, but also changes the route taken by runners significantly. The first goal is to obtain the Grapple Hook from Dragon Roost Cavern, which must be completed without a sword (Outset Escape skips the sword). This, in turn, allows us to use the normal method of superswimming, which is much faster, and much easier on the wrists. If you’re interested in trying out any of these glitches (Item Sliding is actually fairly easy and fun to perform), an Item Sliding Tutorial, Example of Superswimming, and a Demonstration of the any% Manual Superswim are good places to start. Curious about how the original game stacks up in comparison? Keep your eyes peeled for the next Zelda Runners article, I’ll be covering it then. 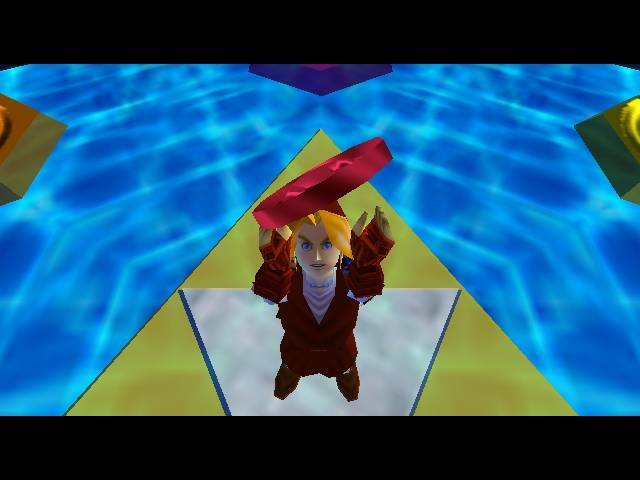 This week our guest is Ocarina of Time runner, Glitchymon. Having run a wide variety of categories within the game, I asked him about his experience of the game and its community. 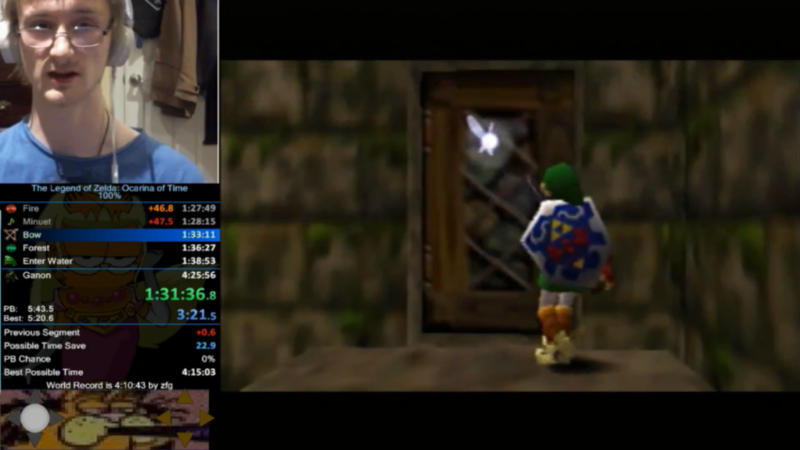 Glitchymon: I am an Ocarina of Time speedrunner who started running any% in January of 2014. Since then, I’ve run many categories over the 4 years such as MST (Medallions, Spiritual Stones and Trials), No IM/WW (No Item Manipulation/Wrong Warp), 100% and All Dungeons. I have also ran a few miscellaneous categories such as All Medallions (I had world record for a few months), All Chests, Ganonless and No RBA/WW (No Reverse Bottle Adventure/Wrong Warp). On the side, I do speedrun different Garfield games but the main one that I tend to focus on is Garfield: Caught in the Act. I find that, as a run, it’s very enjoyable to do and I wish it was more known. In the past I’ve run Pokemon Leafgreen any% since it was a childhood game of mine, along with Garfield: the Search for Pooky. I’ve also run Super Smash Bros Brawl in the past a few times for fun. EC: You’re currently running Ocarina of Time 100%, which is a 4 hour run. What made you decide to run such a long category, and what keeps you motivated through the second half of a run which isn’t perhaps as far ahead as you’d like it to be? Glitchymon: In terms of 100%, I started running it more frequently in March of 2015 and started taking it more seriously in May of that year. I was drawn to 100% since it initially looked like a very fun category with little to no competition. In around March when I started running, 2nd place was taken by Apasher with a time of 4:50:22, who I believe was and still is a good runner of the game. Most of the runners were around the same level give or take around 10 minutes. I was very motivated to run the category since I was able to keep pushing my time down and achieved 2nd place with a 4:48:00. I kept doing runs and kept 2nd place for several months after the fact which I was very happy about. My time was beaten by ClintStevens several months after I got a 4:39 which was an extremely solid time for me. The reason I’m still motivated after the halfway point in the run is in addition to having the benefit of getting more practice by getting to that point, I enjoy the run enough to finish even if the run doesn’t have a high chance of being a Personal Best. It’s a ride all the way through and I enjoy every minute of it. EC: You’ve also run several non-Zelda games in the past, such as Pokemon and Smash Bros. What drew you to the Zelda series, and Ocarina of Time in particular, as a speedruner? Glitchymon: I actually started getting into speedrunning by watching Ennopp speedrun Majora’s Mask in early 2013. I thought to myself: “That’s so cool! I wish I could do that!” In Late 2013, I started to become interested in running Ocarina of Time by watching InsomniaTwo speedrun No RBA/WW (which is now named No IM/WW). I was impressed with his ability to do the category, the tricks looked relatively easy, so I started running any% to get the basic tricks down. I started running Glitchless and No RBA/WW shortly afterward and I found the runners to be very supportive and encouraging of competition. I pushed my time down and after a while, I started to branch out to different categories. EC: You’ve also run other Ocarina of Time categories, including All Dungeons and MST. Do you prefer shorter runs, with less room for mistakes, or longer runs, which perhaps hold more time-save spread out across the run? Glitchymon: I would say I prefer Mid-Length runs such as All Dungeons which enforces high levels of execution, although I’m fine with runs of any length in that regard as long as it isn’t too difficult to perform in a full run. EC: Would you consider running any other Zelda games? Glitchymon: I’m considering speedrunning Majora’s Mask any% in the near future to get a very low time. I’m also considering running Wind Waker HD. 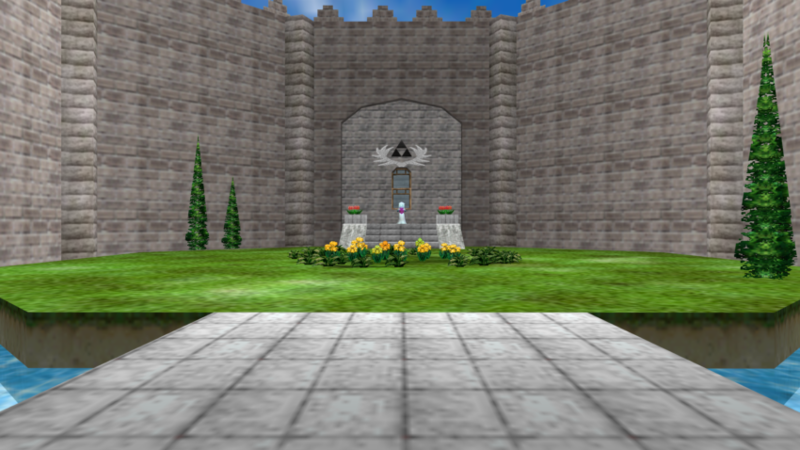 EC: Ocarina of Time is famously broken by this point, with a lot of glitches and tricks having been discovered even fairly recently. Do you have a favorite glitch/trick/exploit in the game, maybe one that isn’t seen within any runs? Glitchymon: I would say I would keep running Ocarina of Time All Dungeons since its around 1:30 long and I love the category. It gives me more time to do attempts at well in case I’m not satisfied with the run(s) I am on. I find getting good times in the category to be very rewarding as well due to the sheer nature of the run and it keeps you on the edge of your seat for the entire run. Anything can happen. Glitchymon’s runs can be found on his Twitch channel, and also through his Twitter. Breath of the Wild’s wider categories dominated this week, along with many unlisted Individual Level runs from Majora’s Mask. Congratulations! You’ve almost made it to the end of the article! Just before you go and try out Item Sliding though, I’d like to highlight some events happening over the next few weeks that might scratch your speedrunning itch. GTA Marathon – 4th April ~ 9th April – As you might expect, this marathon is slightly lacking in Zelda, but it’s a must watch for any GTA fans out there, covering a huge variety of categories across multiple games in the series. Themeathon Premarathon – 7th April ~ 8th April – Themeathon is a speedrunning marathon held each year to raise money for the Save the Children Foundation. The catch? Each year the marathon has a theme. This year’s theme will be announced at the end of the premarathon. Calithon – 13th April ~ 16th April – Speedrunning marathon held in California. Expect some incredible runs, including Twilight Princess All Dungeons, and A Link to the Past randomizer. 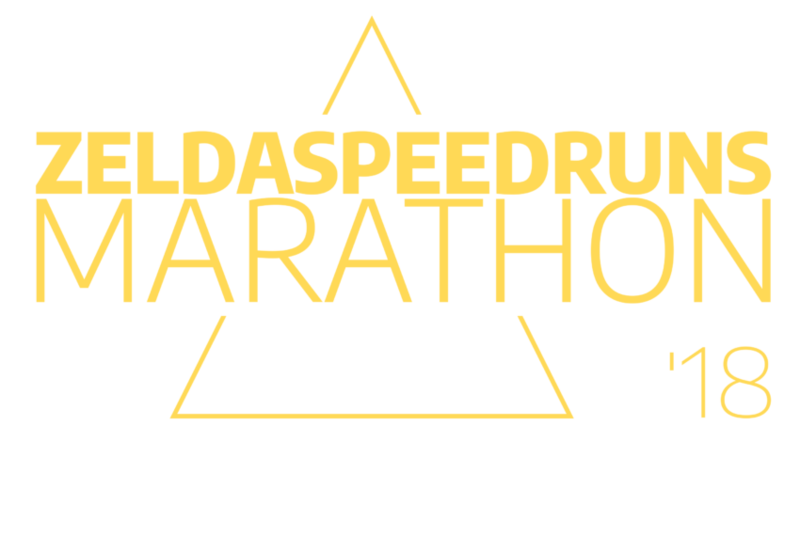 ZeldaSpeedruns Marathon – 13th April ~ 16th April – A Zelda speedrunning marathon? Featured in an article like this? Who would’ve thought. Supporting Juvenile Diabetes Research Foundation, this is the definitive Zelda Speedrunning community event, and is the place to be if you enjoy these articles. Euan Crombie is the host of Zelda Dungeon’s bi-weekly Zelda Speedrunning series, Zelda Runners. He can be found on Twitter and is always ready to defend Skyward Sword.